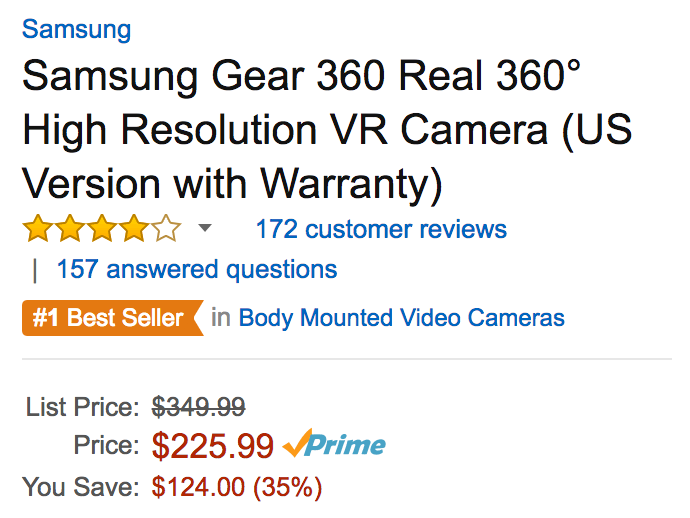 Amazon offers the Samsung Gear 360 High Resolution 360-degree VR Camera (US Version) for $225.99 shipped. Also at Walmart or B&H (for a few dollars more, tax NY only). For comparison, it has a list price of $350 but usually sells for $300. Today’s deal is an Amazon all-time low. Rated 3.9/5 stars by 172 reviewers.